In the early days of cinema, when actors were unbilled and unmentioned in credits, audiences immediately noticed Mary Pickford. Moviegoers everywhere were riveted by her magnetic talent and appeal as she rose to become cinema's first great star. In this engaging collection, copublished with the Library of Congress, an eminent group of film historians sheds new light on this icon's incredible life and legacy. 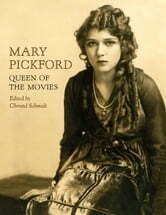 Pickford emerges from the pages in vivid detail. She is revealed as a gifted actress, a philanthropist, and a savvy industry leader who fought for creative control of her films and ultimately became her own producer. This beautifully designed volume features more than two hundred color and black and white illustrations, including photographs and stills from the collections of the Library of Congress and the Academy of Motion Picture Arts and Sciences. Together with the text, they paint a fascinating portrait of a key figure in American cinematic history.